This diaper is great!!! Perfect for overnight. It's super absorbent but not too bulky. The last day to order Valentine's Day shirts is February 1, 2017. 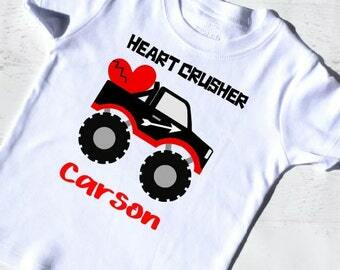 Don't miss out on this shirt your child is sure to love. More options for cloth wipes coming soon. Hi, I am Sauntiese a work at home mom with two toddler boys. I specialize in cloth diapers with fun, bold prints. I am, Sauntiese Andrew, the WAHM behind Poodah Baby cloth diapers and accessories. I am passionate about sewing. There is something special about taking a few flat pieces of fabric and creating something beautiful and functional. I started making cloth diapers for my son when I couldn’t find bold prints that appealed to me. I made a stash of diapers for my son and quickly became addicted. I soon realized that I would have to stop making the diapers I enjoyed making once my son moved on to underwear. After much prayer and research, I decided to open my own shop making cloth diapers and accessories. I am so excited to be sharing my love of cloth diapering with you. Thank you for stopping by. All designs are created by me. Our production partner assists with printing and fulfillment. Thank you for browsing my shop. We sell gifts perfect for any occasion. Payments are accepted through Etsy Payments. Orders are shipped via USPS, and delivery confirmation is available for all orders. In the event that an item is lost during transit, we will work with you and the USPS to recover the items; however, we are not responsible for items marked as delivered by the post office. Please see individual listings for care instructions.